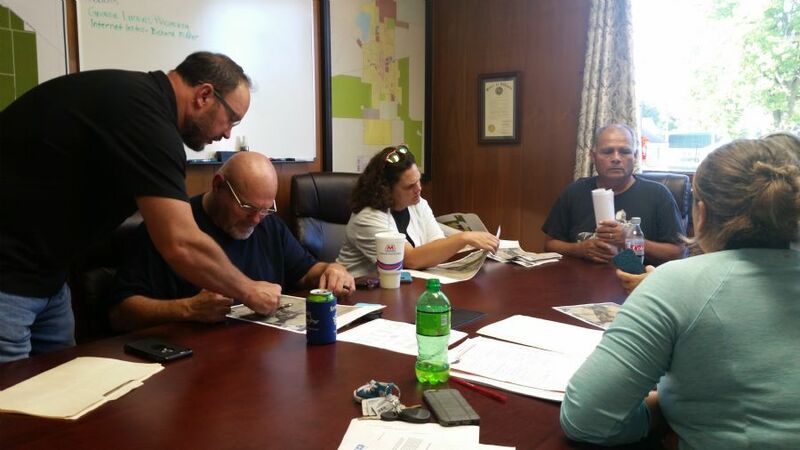 The Planning Board held a regular meeting at Lapel Town Hall from 6pm on September 13th. The Board discussed a request from Chad Renbarger on behalf of the Likens family to convey 13 acres of the former Hall property to the former Jarett property. This will allow them to put in a private access road and split the property into 5 lots. The property in question is across from the new Ball park on Brookside Rd. Neil Stevenson from Madison County Council of Governments had been contacted for his opinion and he had said it was okay. The Board approved the conveyance. The Planning Board reviewed a list of issues RQAW (Town Engineers) had given concerning the Pleasant View apartment plans. Gary Shuck (Board President) believed the list to be relatively minor issues and he had discussed the issues in a meeting with representatives of development firm Forza CRE and RQAW. The development is now okay to apply for a building permit. The Board approved adding all inspection fees onto the cost of the permit.